No one ever wants to be in a position of owing money but sometimes these situations get out of hand quicker than expected. Say you missed out on a credit card payment because you were never sent a bill for whatever you used credit for. At first, you might think you are off the hook but in time it turns out the creditor is pursuing payment. 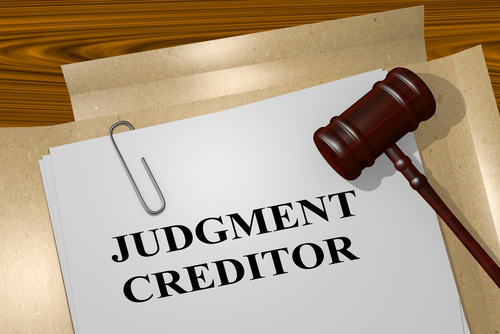 Through court, your creditor or debt collector has obtained a judgment, which means it has been decided that you owe a specific sum of money. The creditor now has the power to take legal steps to seize that money you owe through means like seizing part of your wages, freezing your bank account or even taking hold of your possessions. In circumstances like this, it is important to know how long judgments last before they expire or lapse and that it varies from state to state. For instance, in Pennsylvania, a creditor has up to four years to collect on a judgment but in New Jersey, a creditor has 20 years to collect on a judgment. This time period usually begins at the date of entry of the judgment, the date a creditor last tried to collect on the judgment or the later date of either event. It is also important to know that in some states, like New Jersey, judgments are renewable. This means that if a creditor gets a court order, files an affidavit or other documents, they can renew the judgment for another cycle. So in New Jersey, that means a creditor can maintain a judgment against you for a potential 40 years. In the event that a creditor does not renew a judgment on time or they do not do anything to collect on that judgment for a certain period of time, then the judgment lapses. This means the creditor can no longer legally enforce it and take actions to collect from you. Again, in some states, creditors are allowed to revive dormant or lapsed judgments within a certain period of time. If you are facing a judgment from a creditor and you are unsure of your options then you should contact an experienced bankruptcy attorney. In New Jersey, the Law Office of Joel R. Spivack Esq. can help you face your creditors and deal with your financial situation. Contact Joel R. Spivack today at 856-488-1200 to set up a free consultation.